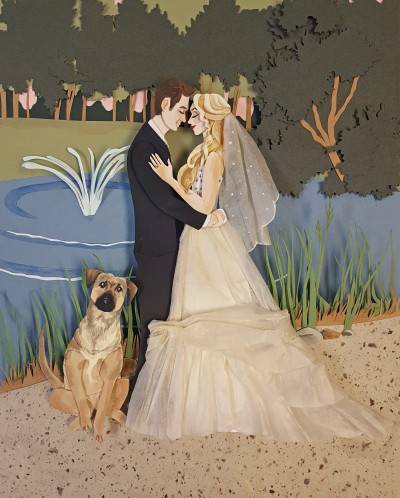 Sydney Evans' delicate paper collages are great for so many things, but they make especially cute wedding portraits. Surprise your sweetie with the perfect paper gift for your one-year anniversary. My style is constantly evolving as I try new things, but I find that whatever I create, it contains a whimsical element, while maintaining bold shapes and soft colors. 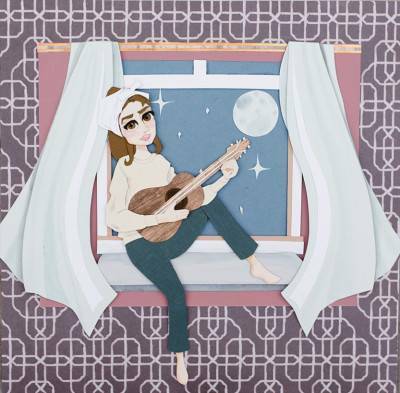 I feel like my paper art style is unique, though I rely on inspiration from old-world art of silhouettes and paper dolls that have been around for centuries. I enjoy recreating characters from classic movies and shows, but my favorite portraits are custom wedding portraits. I love taking the time to recreate the little details, from the lace in a dress to tiny flowers in a bouquet. Paper is also the traditional gift to give your spouse for the first anniversary, so there is something special and traditional involved for me in creating wedding portraits that I hope shows through to the person who receives it. I have been working with cut paper for the past 4 years, but I also enjoy watercolor and acrylic painting, which I sometimes incorporate into my paper art. 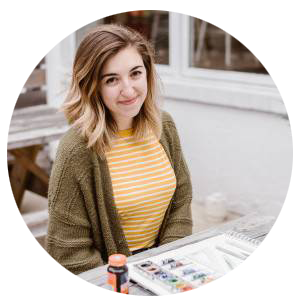 I have a degree in graphic design and work as a freelance designer, which has helped influence my work in paper illustration greatly. I love it when I can combine the two! I started working with cut paper in college where I took a class on color theory. There, we were to cut out shapes with different colors to create designs. From there, I started incorporating paper in a lot of my projects and pushed each idea further than the next. 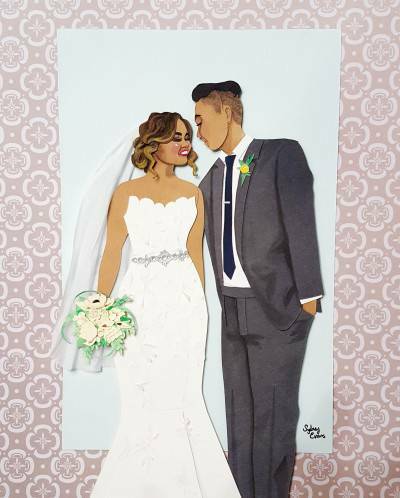 I made my first wedding portrait as a gift for my husband using the cards that we received for our wedding. I found that I loved making portraits from paper more than any medium I’d tried before. Since then I have not stopped trying new things with paper! My earliest memories of creating art are with my mom. She taught me how to draw and paint. I also created a lot of my own toys, from dollhouses out of cardboard boxes, to polymer clay creatures. I especially enjoyed making my own paper dolls, using my mom’s lightbox to trace the outline of the person I drew to create their clothing. I cut up old magnets to glue on the back of the clothes and used a magnetic whiteboard to assemble my creation. I find so much fulfillment in the act of creating something, and I think that’s always been a part of me. The history of graphic design plays a huge role in my work. People like Henri Matisse and his paper collages with bright and bold colors, and the Beggarstaff Brothers with their simple paper designs are just a couple of my biggest influences. 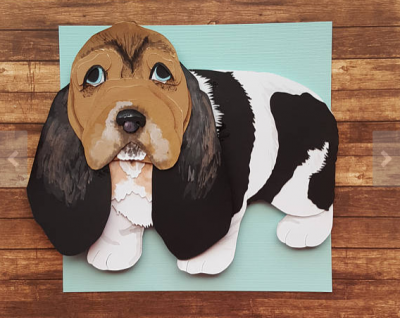 Some modern influences for my paper art include Nathanna Érica who creates masterful paper art, Margaret Scrinkl, who uses her paper art to create designs and animated shorts, and Megan Mead who makes incredibly detailed pet portraits. It blows my mind to see what others can do, and pushes me to keep trying new things. "My favorite portraits are custom wedding portraits. I love taking the time to recreate the little details, from the lace in a dress to tiny flowers in a bouquet."